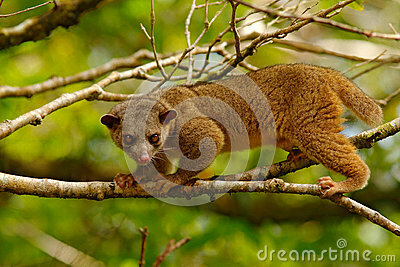 Kinkajou, Potos flavus, tropic animal in the nature forest habitat. Mammal in Costa Rica. Wildlife scene from nature.